WHITINSVILLE, MASSACHUSETTS — The 13th Annual Valley Home & Business Expo hosted by the Blackstone Valley Chamber of Commerce and presented by UniBank will take place on Saturday, March 5, 2011 from 10:00AM – 3:00PM at Northbridge High School Field House, Linwood Avenue, Whitinsville. The Expo showcases the best the Valley has to offer and is the perfect opportunity to highlight businesses, products or services to approximately 3,500 attendees from the Valley and beyond! Sponsorships are a great way to gain more regional exposure for your business and to address your target audience. Join our 2011 sponsors including Gaudette Insurance, Osterman Propane, Charter Business, Millbury Federal Credit Union, Sunshine Sign, Citadel Broadcasting and the Telegram and Gazette at the Expo March 5th. Contact the Chamber to find out more. A variety of events are planned this year including live entertainment and new interactive activities for the entire family. The “Best in the Valley Chowder Festival” is back with both a People’s Choice and Judged categories. Restaurants and businesses are invited to present their chowders to the crowd for tasting to qualify as the “Best in the Valley”! Celebrity judges will choose the tastiest winner in the judged event happening at 2 PM. Other highlights of the show include exhibitor’s raffles, Clifford the Big Red Dog, Easter Bunny, Northbridge Police Department Kids ID Program, NFD Talking Fire Truck, Smokey Bearcelebrating 100 years of fighting fires in Massachusetts, food samplings, face painting, Bobo the Clown’s amazing balloon sculptures, “Dan the Magic Man” will amaze and astound you, Ironstone Petting Zoo, Southwick’s Zoo, meet and greet businesses for home and community and much more! See you Saturday, March 5th 10 AM to 3 PM to experience all the great things our Valley has to offer! 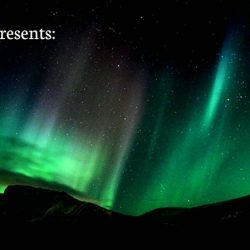 Visit www.blackstonevalley.org/events/expo2011/ for details. The mission of the Blackstone Valley Chamber of Commerce is to promote the economic vitality of the Blackstone Valley, meet the needs of the Chamber’s business members, while providing leadership on issues which impact the economy and quality of life in the Valley. 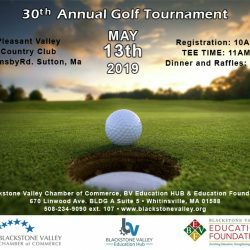 For more information on the Chamber or to register for this event please contact Brenna Ruchala at 508-234-9090X 107 or brenna@blackstonevalley.org.